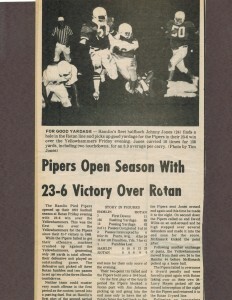 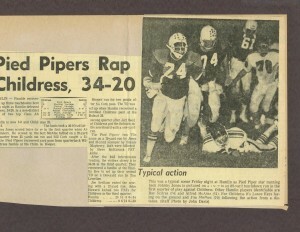 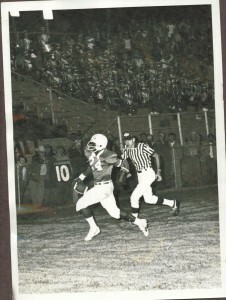 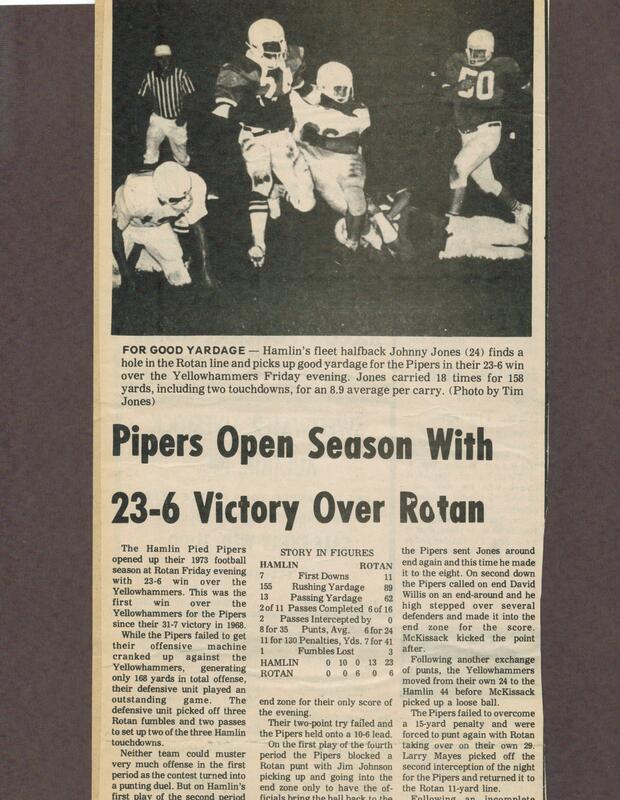 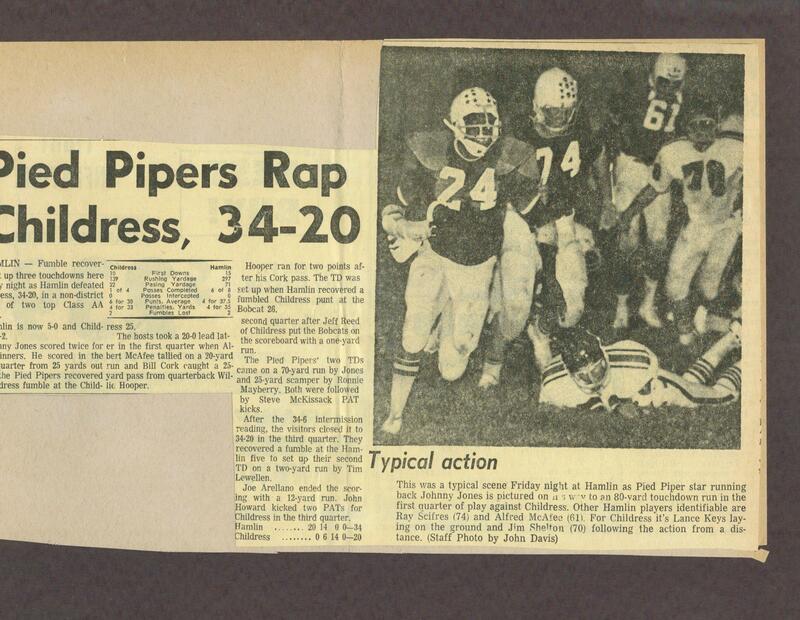 Jones was an all-around athlete at Hamlin, helping the Pied Pipers advance to the football playoffs and win state titles in track. 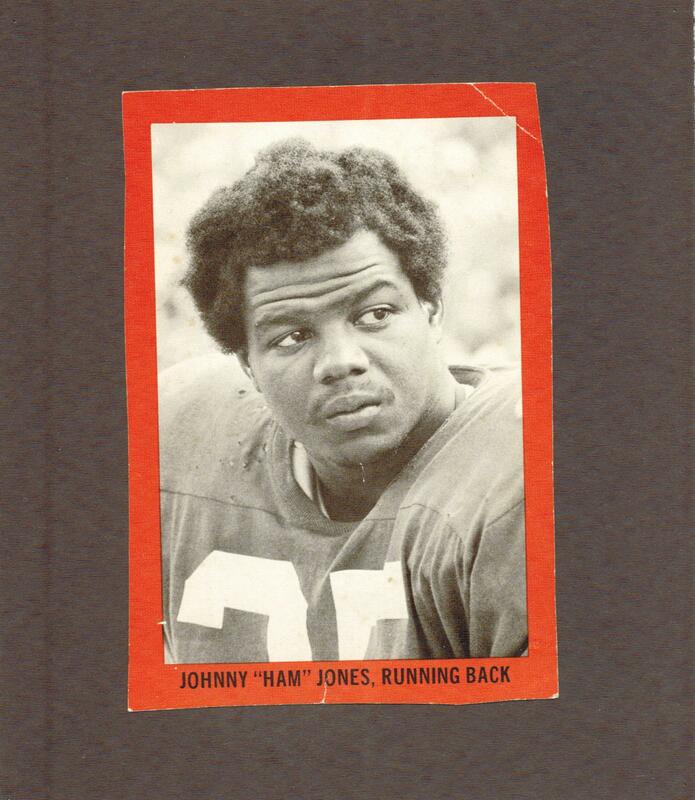 When he arrived at the University of Texas, he was one of three Joneses playing in the backfield, so he became Johnny “Ham” Jones because he was from Hamlin. Although he was used primarily as a blocking back for Earl Campbell, Jones and Campbell combined for 2,233 yards rushing in 1977, the highest rushing total for a Longhorn duo in school history. 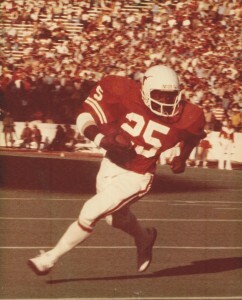 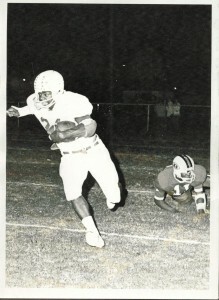 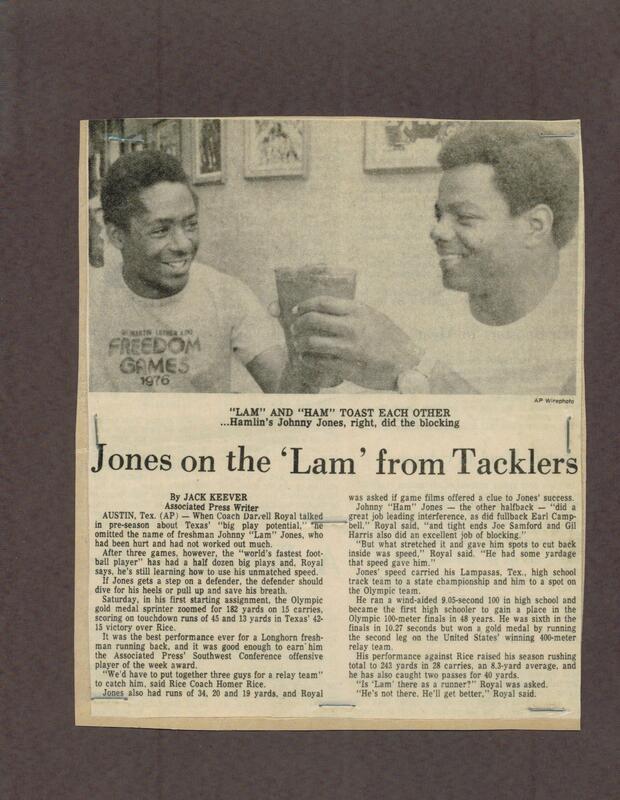 Jones was named the MVP for Texas in the 1978 Sun Bowl when he rushed for 101 yards, including a 32-yard touchdown.